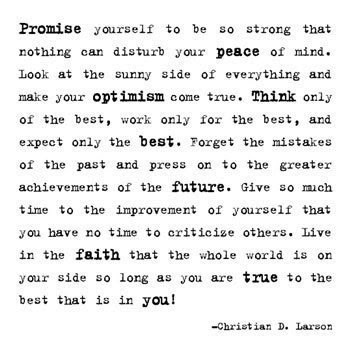 The year of 2017 has left us and now, as we move forward in 2018, we must always promise ourselves to do so with optimism. 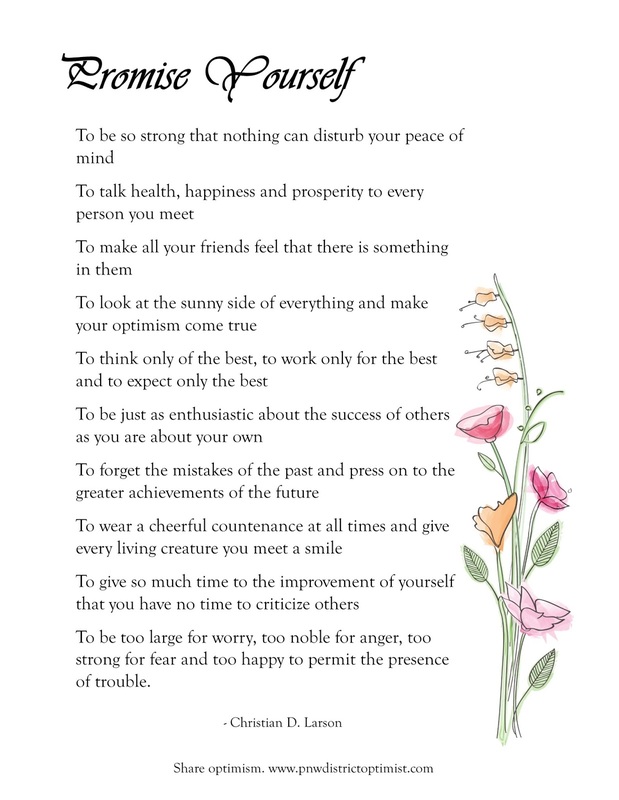 To help maintain your positive thoughts this year, we propose a daily reading of the Optimist Creed. To help others maintain their positive thoughts, we encourage you to share optimism by sharing the Optimist Creed. Please click to download a copy and then share with your friends and colleagues both online and offline. Please keep the optimist movement going throughout the year! Thank you.